Hi guys, my boyfriend and me are going to install a solar panel and we have no clue at all. So we would appreciate any advice on which solar panel in general, brand, what else we do need (controller, converter, battery, etc. …) and if we can drill into the top of our van or if we better go with a panel we can glue onto the roof ??? 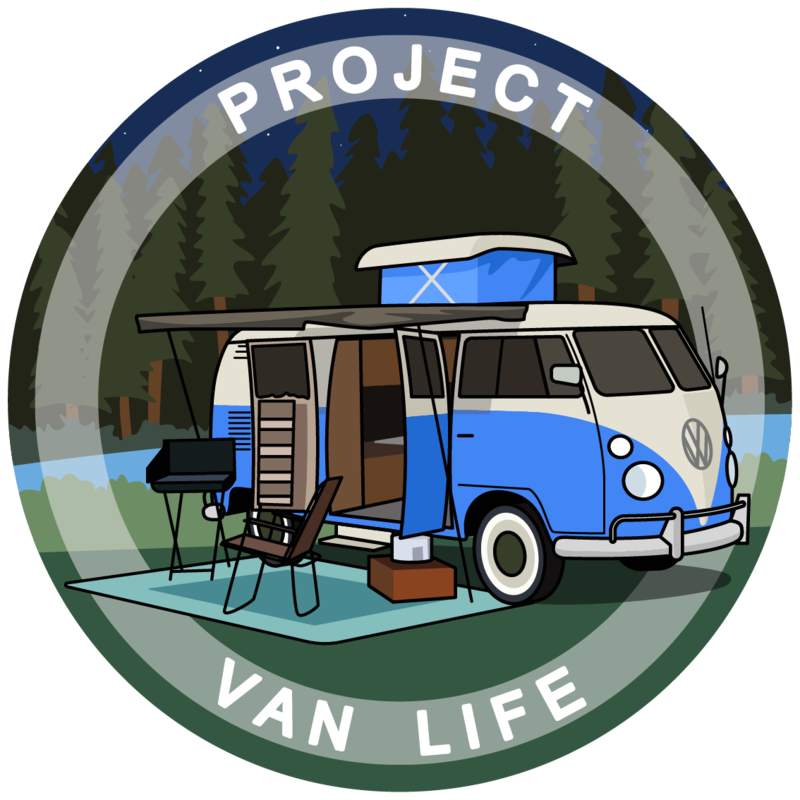 We will just run our fridge independently from the engine battery - and we would like to be able to charge our laptops and phones as well - but there is nothing more to charge. Myself I would drill holes and bolt them on. I don’t trust glue to hold them on at highway speeds. When i installed mine I just drill 4 holes and bolted them on. It not a big deal, just make sure you use rv putty tape and sealant, you shouldnt have any leaks. In 5 years never had any leaks from those 4 holes I drilled, but I had leaks from some of the roof vents I installed. But you need to make sure about what is under the roof before you drill, in some areas there are support beams, that will be in the way, some areas have wires. As far as panels get the largest panel that will fit on your roof, the first panel I had was 120 watts, that was very underpower (only got 6 amps out of it), now I have a larger 240 watt panel ( I get over 12 amps out of it). With the fridge and laptops, you need at least 12 amps. If you can fit a 280 watt or bigger thats what I recommend. You can sometimes find good deals on craiglist on panels, I payed 200 dollars for my 240 watt panel. Charge controller for a small 21 volt panel get pwm controller, for a larger 36 volt panel get mppt controller. 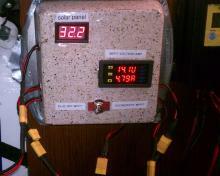 I use the ecoworthy 20 amp mppt (cost 100 dollars) on my 240 watt panel. All you really need is the panel/controller/wires/connectors and I highly recommend you get a 90 volt 30 amp combo meter (about 20 dollar on ebay) and connect between the controller and the battery, Its a bright LED that will tell you how much amps your panel is putting out and tells you battery voltage all the time. If you know the voltage/amps you can tell if your system is working to its maximum efficiency. xt60 connectors, is all I use to connect everything in my van, they can handle up to 60 amps. In this picture you see the combo meter, and the ecoworthy mppt controller is to the right. Just by looking at the voltage 14.1 volts, the controller is bulk charging and the battery is not fully charge yet (max 14.4 volts/ float would be 13.7 volts or less) and the amps of 4 amps tells me its probably cloudy or sun going down, at noon on sunny day the amps would be almost 12 amps. Combo meter tells you alot. @bizness thanks a lot for your advice, that’s way much more than we’ve received from a well-known company and their so-called advisor. now it’s weekend and we will have more time to figure out something. i’ll get back to you, if we have additional questions. thanks again. How much driving are you planning on doing? When it comes to solar, most places are less than ideal, and the PNW is even worse. Solar is the most expensive, least reliable, and least efficient way to charge batteries. For desert dwellers maybe it’s acceptable, but for most people it’s really just a waste of money. 99% of the people who claim to like solar ( a tiny fraction of the number of people who have wasted a fortune on it ) are also using other charging methods too, and crediting their solar when it isn’t their solar keeping them in power. A perfect example was a guy I ran into who was bragging about his solar, and how it cut down his generator usage from 24 hours a day to only 10 hours a day. But he had also added a battery bank with the solar, and was charging through a converter instead of thorough a legitimate battery charger. We disconnected his solar, added a battery charger, and cut his generator run time down to an hour a day unless he needed to run his air conditioning. His roof full of solar wasn’t capable of charging his battery bank on the longest sunniest summer day, let alone the rest of the year. I dumped solar altogether. I don’t drive much, but I drive enough to keep my house battery charged better than solar ever did, then I have a backup generator if I ever need it. The most disposable part of any power system is always the solar. I tried solar multiple times, and every time was a failure. My whole power system, battery, generator, battery charger, and isolator cost under $200. 5 gallons of gas for my generator will last me over a year on the rare occasions I use it. If I were you, I wouldn’t even mess with solar until after I already had a reliably working system without it. My house battery, isolator, and full installation was under $75 at a battery recycling shop. I added another $20ish worth of accessories to that to create my very convenient system. Under $100 gave me a totally reliable power system for 99% of the time. A $99 no name cheap generator covers that other 1% if I’m boondocking for a long time. I don’t even need the generator more than half a dozen times a year. I could get away without it, and just run my engine instead if I wanted to. I could add solar if I wanted it, but I don’t need it, so for under $200, I have a totally reliable power system that doesn’t rely on the weather. Truth be told, even with solar, I would still need both my isolator and my generator to have a good reliable system. I didn’t lose anything but headaches by skipping solar this time around. It isn’t about the money, it’s about the reliability of always having plenty of power. The fact that my current system cost less than solar was just an added bonus. If my current system cost would have cost twice as much as solar, I would have still paid it, and been happy. I’m comfortable and worry free, no sunshine for a week or more, no problem, I still have reliable power. we started our trip in November 2018 in Canada and drove through the USA until Christmas. We didn’t install Solar, we just went with a “MotoMaster Eliminator PowerBox” which is chargeable with 12V DC from your cigarette lighter or with 120V AC at a house. The box runs our fridge when we are not driving, but it only lasts a day (33Ah). So for the cold in Canada and the USA it was enough, but here in Mexico we needed a better solution. So we got a solar panel installed, connected to our battery box and the fridge connected to the box. It’s a 160W / 8.7A panel which is enough to charge the 33Ah box within a few hours. All in all (power box bought in Canada + panel and installation in Oaxaca, Mexico) we only spend 400US$. 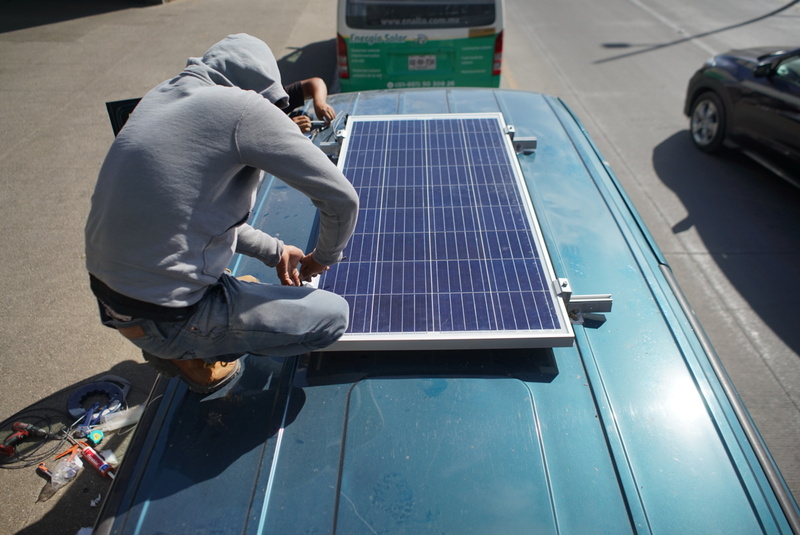 So our advice: if you have the possibility to get your solar installed in Mexico, DO IT! you will save a lot of money. I’m not a fan of solar, but buying in Mexico is a GREAT tip that I haven’t seen before. Most of the advice you find online is centered around somebody trying to make money, so truly good and honest advice is in short supply, especially when it comes to saving money. Great post. Thanks. Can you tell me more about your converter/battery charger/generator set up? I’ve found a lot of info on solar out there, but am struggling to wrap my head around a generator-powered set up. As I understand it, the generator pushes electricity through the converter to charge the battery bank. Where does the battery charger come in? Is the battery charger sitting in between the converter and the battery bank (like a solar charge controller would in a solar setup)? Where do I find a battery charger? Thanks! I don’t have a converter in my system, just the house battery with an isolator going to the starting battery, an el cheapo suitcase inverter generator, and a typical car battery charger just like you’d plug in at home. I paid $99 for my generator, and $29 for the battery charger. The battery charger is an automatic 50/20/10 type. Automatic means it won’t over charge your battery. Other advantages of this system are that you can also charge your starting battery with it, plus you can have AC power if you need it. I do not use the 12v port on mine, even though it has one. Oh, and also… just live there, because you’ll save even more money!! It’s certainly easy enough to buy separate components from different places and you’ll probably save a bit of money… but since you seem to not have much comfort in the install, you may find it’s better to find a kit of parts that comes with diagrams and take the questions/stess out of it for you. Better yet, maybe find someone who does these installs regularly and get them to do it in the laneway behind your house (and/or maybe for trade if you have more comfort in another part of the build you can offer in return). In terms of brands… after a ton of research and looking into price/watt and overall efficiency- I was surprised to find that Grape Solar is typically one of the highest rated and most efficient brands (despite being among the most affordable and available at big box stores like Home Depot). If you’re going to go through the expense of a solar install…might as well fill the roof with as much as you can fit. The fridge will be you’re biggest draw for sure, but depending on your laptop usage you might be surprised at what you can pull through the inverter while charging devices. We have 2x 100w solar pannels the frames are bolted to the van we, they basivally provide enough trickle charge to keep our batteries topped up. As far as actually powering everything in our van, we have two lithium batteries, amd they charge from an under the hood generator that works like a second alternator (so no generator noise qhen we are parked) we have a microgreen inverter to convert from 12v to 110. Your batteries capacity to charge and store power will be a big thing. Good luck with your build!! The same goes for your the amount of Ah you need. Calculate how much energy you would need for running your system for 12 hours without an external charge and double it! If you average 10 amps and hour then you’ll want a battery that is 100Ah. Double that so your batteries don’t drain past 50% and you’re good! As far as batteries are concerned I perfer AGM or Gel. With working in tight enclosed spaces you won’t need to vent or service these, or worry about them tipping over. Hook up a couple 110/USB outlets. Run a DC fuse panel for your accessories and you’ll be good!